Toys are a part of almost every American’s childhood, and these days the variety and scope of the toy market is astonishing. With toys designed for every age range, it’s easy to find the perfect item for any child’s age and proclivities. The difficulty is in finding a toy that will hold a child’s interest, however, as well as one that he won’t quickly outgrow. Below are a four suggestions for toys that will captivate for a number of years. Most anyone who grew up in the 80’s and 90’s played with these at least once. Many played with them thousands more times. LEGO is a brand synonymous with creativity and imagination. Many people even confess to pulling out the LEGOS well into their teenage years, and those who become parents anxiously wait for the day when their little ones can be trusted not to swallow small parts, and they can settle down on the floor with that precious old bucket of building blocks. These days, LEGOS have spread to encompass so many aspects of pulp culture that childhood is almost incomplete without them, but the basic building block sets are still where the real magic lies. It’s when kids toss the instruction manual and start to build their own amazing space ships, race cars, and underwater exploration ships that the endless possibilities really present themselves. Lego.com is a great place to start, if you haven’t already got some in storage from your own childhood. Next, consider an investment in a Power Wheels vehicle. While there’s a weight and size limit that dictates when and how long a child can use one of these, the playtime possibilities during those years is endless. First, the novelty of being able to drive around the yard won’t wear out very fast. If it ever does, parents can always join in on playtime by designing obstacle courses for the child, or even turn things into a learning opportunity by teaching kids early about traffic laws and safe driving. It sounds a little dull on the surface, but kids love playing adult. Lastly, when that little Jeep or convertible needs a tuneup, replacement parts for Power Wheels can easily be gotten at sites like Mendingshed.com. Then it can be time to play mechanic and teach the kids to be excited about care repair. Microscopes are amazing things– windows into a world that is all around us but unseen. It’s not the first thing that comes to mind when people think ‘”toy”, but decent microscopes for kids exist. They won’t be winning Nobel Prizes with them, maybe, but the world that becomes visible beneath the lens of a microscope can turn the backyard, fish pond, or wing of an insect into hours of excitement. Even young children can easily be taught the principles of how to use one, while the older children will still be thinking of things worth a closer look well into the future. There was a time when handing a kid a camera could be an expensive mistake. The cost of film and developing the pictures prohibited childish experimentation, not to mention the camera was as likely to end up lost or damaged. These days, there are digital cameras for children as young as four. The digital aspect allows for endless experimentation with no cost, and the durable build of these cameras ensure they’ll last. Children can learn about real photography or just wile away an afternoon looking at the world in new ways as they capture it. Such a gift can last until it’s time to put a real SLR in the hands of the young photographer, making this a gift that won’t get old fast. A little creativity will ultimately prolong the enjoyment of any toy, complex or simple. 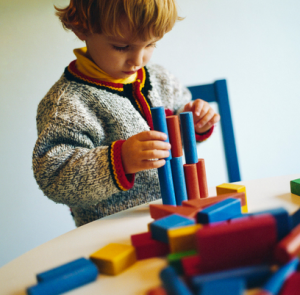 The toys that nurture creativity and exploration will have the longest hold on a child’s attention.